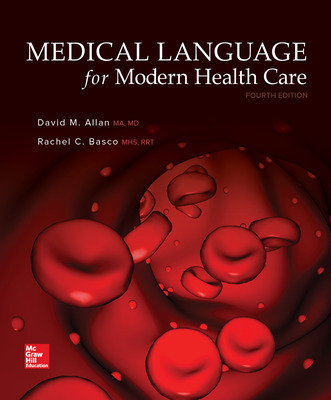 •	Uses contextual learning to introduce medical terminology within a healthcare context. •	Covers one topic at a time, so contextual content, tables, and exercises are in one place. •	Includes an instructor’s manual to shows how each component supports and reinforces the content and strengths of the others. •	Helps students visualize difficult concepts using BodyAnimat3D's animations.